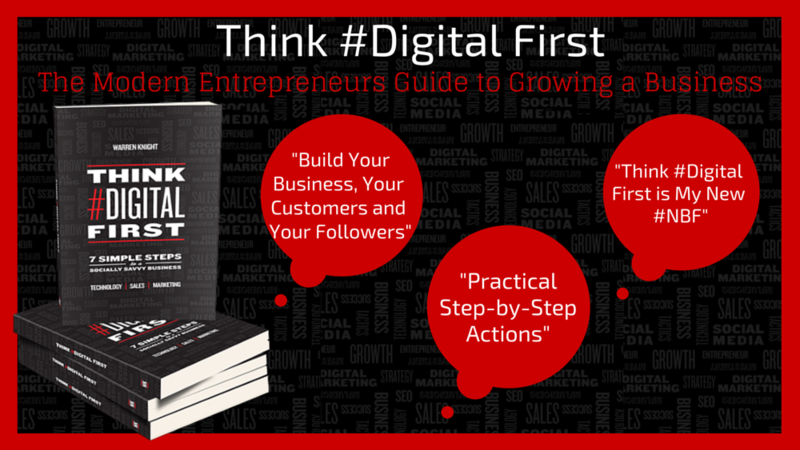 Warren would like to invite you to his “Business Start-up” Think #Digital First book launch. You will receive the very first few “limited Edition” copies of my book, with a personal message to you. What is Think #Digital First? It’s essentially a step-by-step guide designed for creative entrepreneurs, business owners and sales and marketing managers that shares with them the importance of having the right mindset to focus on technology, sales and marketing. Understanding your strengths to building the right team around you and knowing the different platforms, social networks and the right digital tools are so important when integrating them into your sales and marketing to help you market your brand online, saving time and getting sales to grow your business. Places are limited to only 30. Book your space for Think #Digital First’s book launch and hear from Warren and others about their latest book releases. You can see Think #Digital First’s Press Release here and order your copy now.